Consider this scenario. A couple of years before a politician is elected to his current job, he signs a lease agreement worth as much as $1 million with a large private company. Later, the CEO of the company gives the politician a large campaign contribution. After taking office, the politician is confronted with a thorny regulatory issue in which the private company expresses a strong interest. The CEO of the company asks the politician to intervene, to take his side over that of another large business. The politician appears to do so. When subsequently pressed by reporters, the CEO denies asking the politician to intervene, and representatives for the politician deny linking the CEO’s request to the thorny regulatory issue. Both denials conflict with written evidence to the contrary. Would this scenario concern you? If I told you that the politician in question was North Carolina Gov. Roy Cooper, the “thorny regulatory issue” was a water-quality permit for the Atlantic Coast Pipeline (ACP), and the company in question was Strata Solar, one of the state’s largest renewable-energy firms, would that heighten or lessen your concern? The answer to the first question should be yes. This story should concern all North Carolinians. While it may be impossible to wall off fully the exercise of a governor’s power from attempted influence by affected parties who may be either political supporters or opponents, the executive branch should at the very least be transparent and forthright. Really? Ochsner pointed out a text that Cooper’s senior adviser, Ken Eudy, sent to the governor’s general counsel, Will McKinney, on the morning of Jan. 2, 2018. 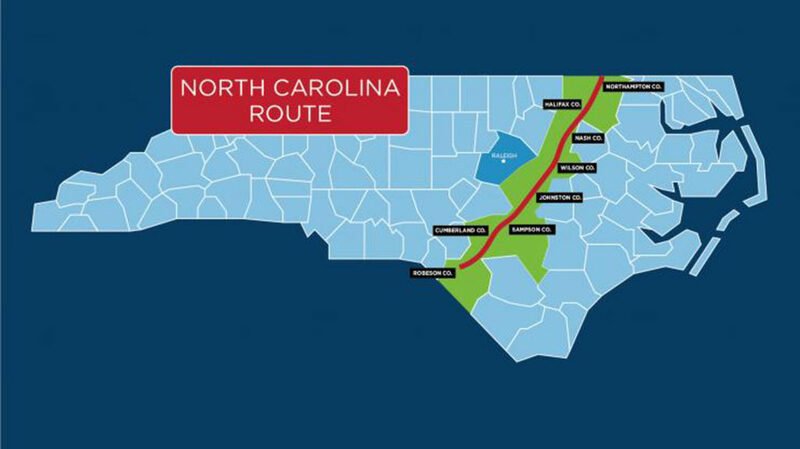 That was the day Cooper was originally scheduled to sign a memorandum of understanding with Duke Energy regarding the pipeline permit. “Not sure we should sign the ACP agreement unless solar deal works,” Eudy texted. “OK,” McKinney replied. “Don’t disagree.” The “solar deal” in question was a demand by Strata and other solar companies that Duke purchase more power from them, even if it required costly new transformers to handle the load. The Cooper administration is now claiming the Eudy-McKinney exchange was just a discussion about the messaging of the announcements, not evidence of a connection between the two “separate issues.” This claim becomes implausible in light of a memo drafted a few weeks earlier by Cooper’s Department of Environmental Quality. It lists as one of the options for “ACP mitigation” that Duke Energy would “revisit the use of higher-capacity transformers to allow for more renewable-energy projects to access the grid.” That’s precisely the concession the solar industry wanted — and precisely the issue on which Strata CEO Markus Wilhelm, a Cooper donor in 2016, had personally asked the governor to intervene in personal meetings and an email, according to Ochsner’s reporting. To put this in its larger context, recall two stories previously broken by my colleagues at Carolina Journal. First, the aforementioned “memorandum of understanding” between Cooper and Duke Energy included a $58 million “mitigation fund” that would have been distributed to renewable-energy or economic-development projects selected by the Cooper administration, rather than being received as state revenue and appropriated by the North Carolina General Assembly as required by the state constitution. The second fact is that two years before his election as governor, Roy Cooper struck a deal with Wilhelm’s Strata Solar to lease property Cooper and his brother Pell owned in Nash County. Based on market data, Strata’s lease payments over 20 years would likely range between $400,000 and $1.12 million. Now, let me restate my second question from earlier in the column. If you are a Democrat who supports Cooper, can you honestly say these events wouldn’t trouble you if the governor in question were a Republican?